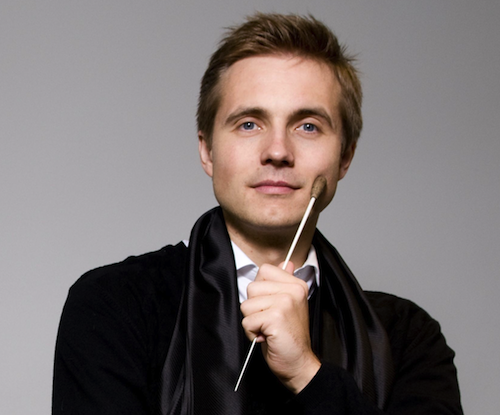 Vasily Petrenko was appointed Principal Conductor of the Royal Liverpool Philharmonic Orchestra in 2006 and in 2009 became Chief Conductor until 2015. He is also Chief Conductor of the Oslo Philharmonic Orchestra, Principal Guest Conductor of the Mikhailovsky Theatre of his native St Petersburg, and Principal Conductor of the National Youth Orchestra of Great Britain. He was the Classical BRIT Awards Male Artist of the Year 2010 and 2012 and the Classic FM/Gramophone Young Artist of the Year 2007. He is only the second person to have been awarded Honorary Doctorates by both the University of Liverpool and Liverpool Hope University (in 2009), and an Honorary Fellowship of the Liverpool John Moores University (in 2012), awards which recognise the immense impact he has had on the Royal Liverpool Philharmonic and the city's cultural scene. He now works regularly with many of the world's finest orchestras, including the London Philharmonic, Philharmonia, Russian National, Netherlands Radio Philharmonic, Chicago Symphony, Philadelphia, Czech Philharmonic, Vienna Symphony, Sydney Symphony, Los Angeles Philharmonic and San Francisco Symphony Orchestras, the National Symphony Orchestra Washington, Orchestre de la Suisse Romande, Accademia Nazionale di Santa Cecilia, and the Rundfunk Sinfonieorchester Berlin. His wide operatic repertoire includes Macbeth (Glyndebourne Festival Opera), Parsifal and Tosca (Royal Liverpool Philharmonic), Le Villi, I due Foscari and Boris Godunov (Netherlands Reisopera), Der fliegende Holländer, La Bohème and Carmen (Mikhailovsky Theatre), Pique Dame (Hamburg State Opera) and Eugene Onegin (Opéra de Paris, Bastille). Recordings with the Royal Liverpool Philharmonic Orchestra include Tchaikovsky's Manfred Symphony (2009 Classic FM/Gramophone Orchestral Recording of the Year), an ongoing Shostakovich cycle, and Rachmaninov's Symphonic Dances, First, Second and Third Symphonies and complete Piano Concertos.